Or scan your pack's QR code with a smartphone. There is an infinite variety of food out there, some of it trustworthy, some of it not. FollowThisFood is designed to help you understand where your food comes from and feel confident that you are buying good quality produce from transparent, sustainable sources. Connect with your food and feel confident that you are getting the best quality produce from a source that is transparent, traceable and sustainable. You can find codes on packs like this demo for a carrot farm. Simply scan the QR code or enter the code in the box above. We want to reconnect the consumer with the individuals that help produce the food we eat. 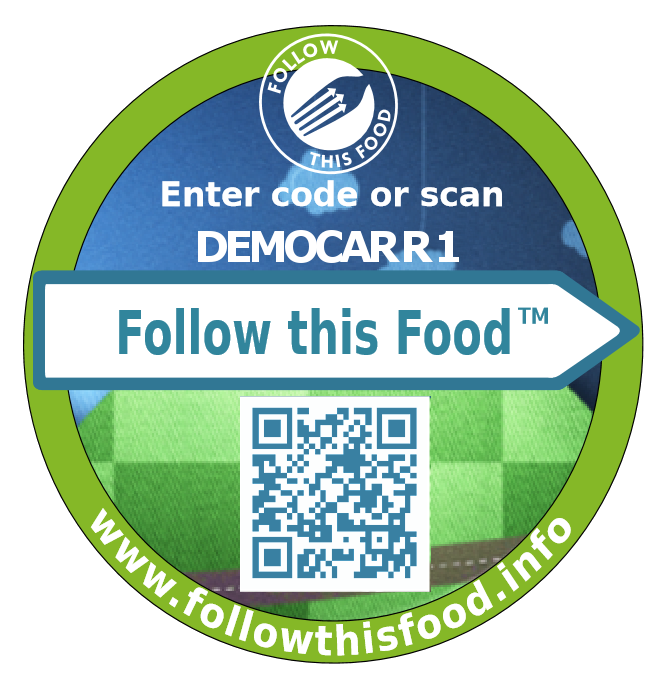 Follow this Food™ provides information about a specific product’s journey so that the link between consumer and producer isn’t lost.